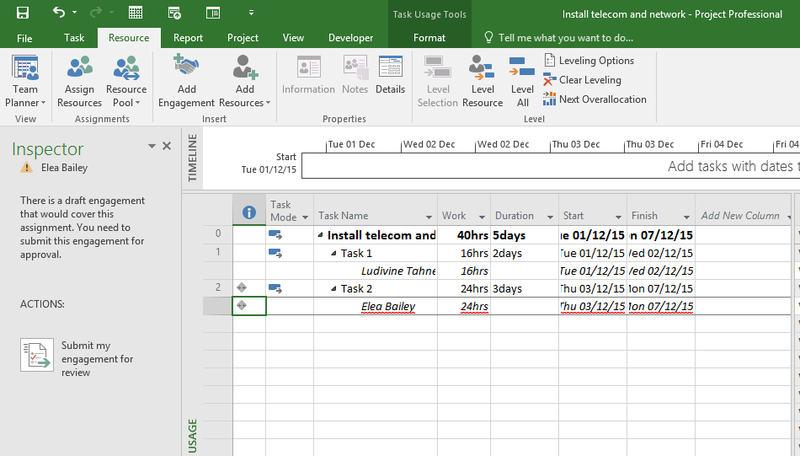 Resource engagements, which is one of the new feature available in Project Online, is the way Project Managers and Resource Managers agree on resource allocations (for more information about new features of Project in 2016, please check my previous blog article: What’s new in Project 2016). 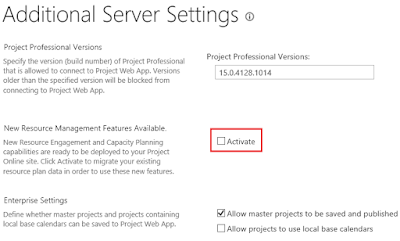 The resource engagement feature substitutes the resource plan feature you might know from the previous version of Project Online or Project Server. Projects’ resource plans will be migrated to resource engagements. It’s important to note that only published resource plans will be migrated, so before you start, publish all your resource plans. 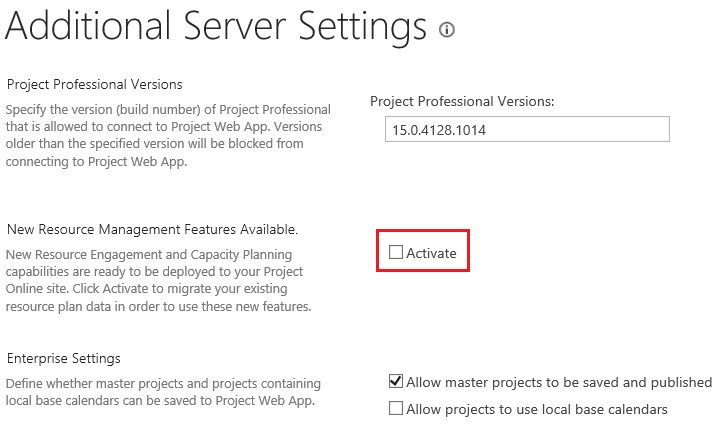 Click to go to the Additional Server Settings page, then check Activate. The information message tells you the migration of your previous resource plans is schedule and will run “during off peak hours” (asynchronous mode). 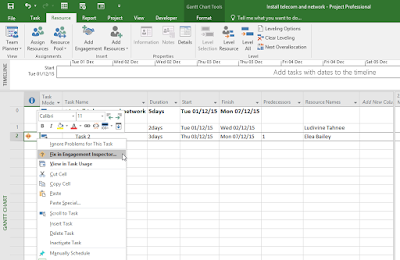 In my test tenant, the migration of 17 resource plans took me 1 day. 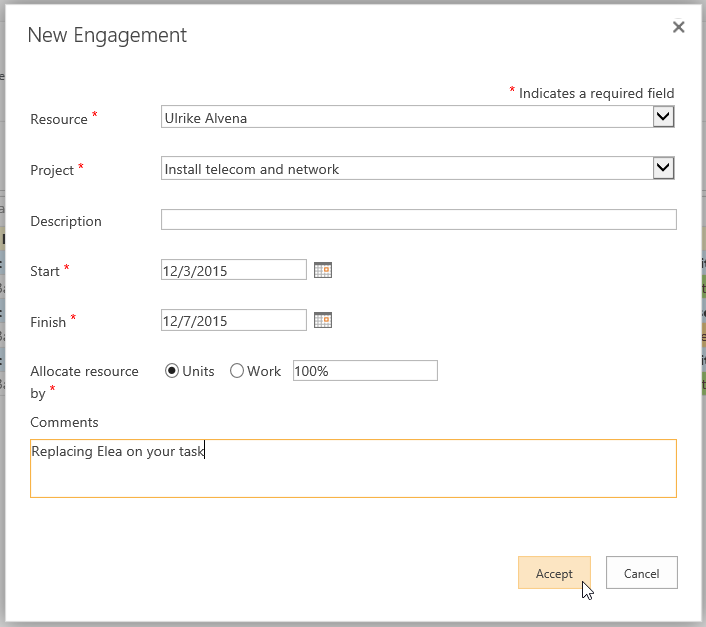 When the resource engagement feature is activated, you will notice that Resource Plan button has disappeared. 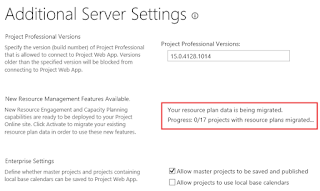 The next steps should be done by resource managers; they have to set resources requiring approval to be assigned to projects on the resource center (Project Online > Resource center > Edit resource page). 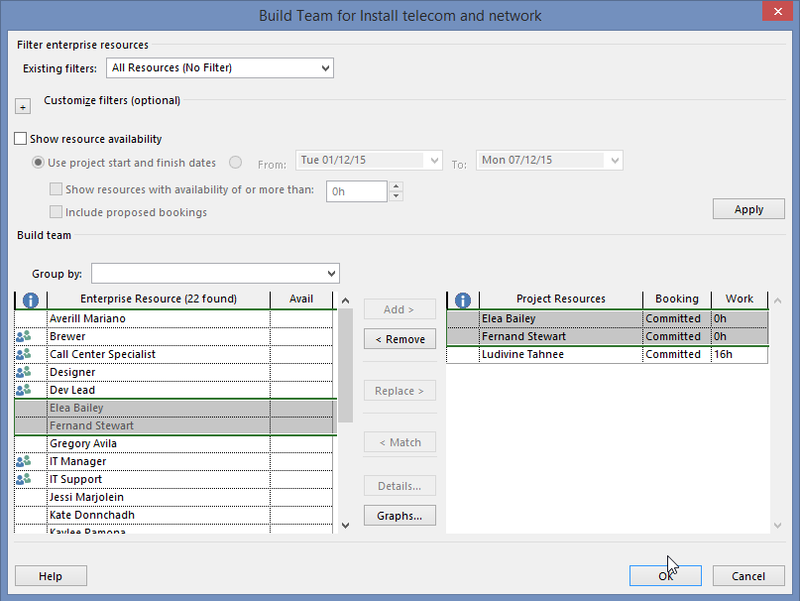 Let’s open one of my test project [Install telecom and network] that contained a resource plan, and open it in Project Professional 2016. Once opened, you notice the message, you have resource engagements (migration succeeded). Click on View Engagements. 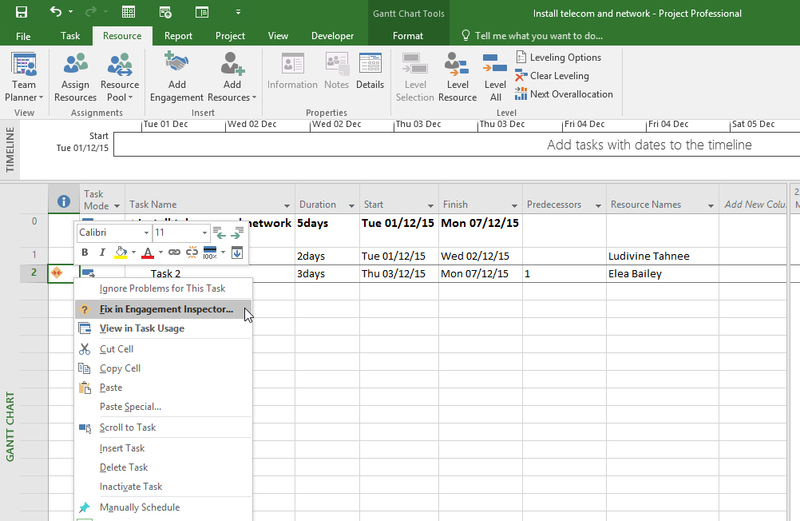 You see that the resource originally set on the resource plan, has an engagement that is committed for the planned period (even if no task is assigned to the resource yet). 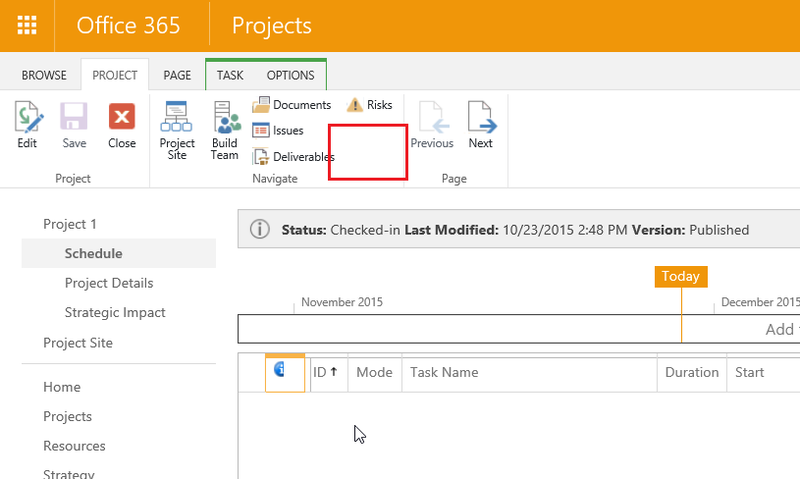 A new tab, Engagements, is now available on Project Professional 2016 (same in project Pro for Office 365). 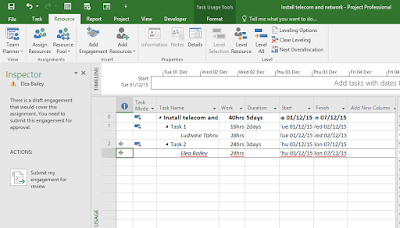 Now it’s time for the project manager to build his planning and assign resources to tasks. I will continue with my previous project that contains one engagement for user “Ludivine Tahnee” and two simple tasks. I will build my team from Enterprise resource pool. 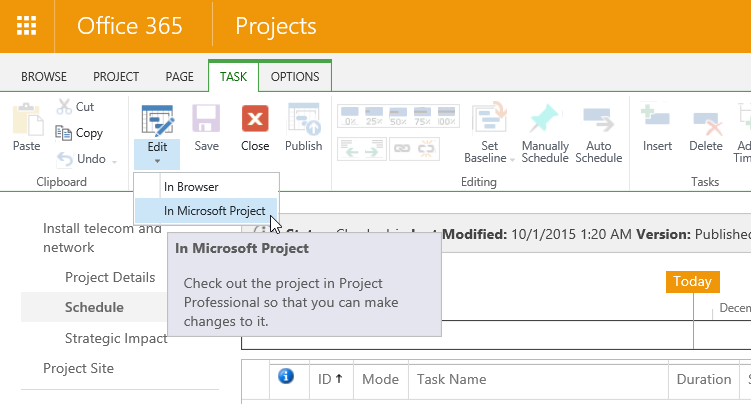 On the Resource tab, click on Add resources > Build Team from Enterprise. I select 2 more resources; they both require approval (set on the resource center). I assign Ludivine to the first task. As she is already committed via a resource engagement, there is no specific action to perform. I see a warning message on the indicators column: an engagement is required for this resource. Let’s resolve this problem. Right click on the icon, and select Fix in Engagement Inspector. The engagement inspector opens on the left side. 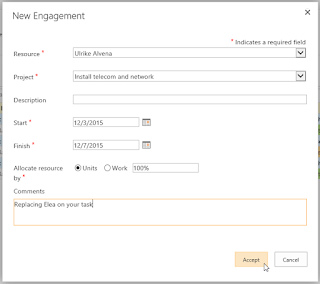 Click on the View engagement conflict in task usage. 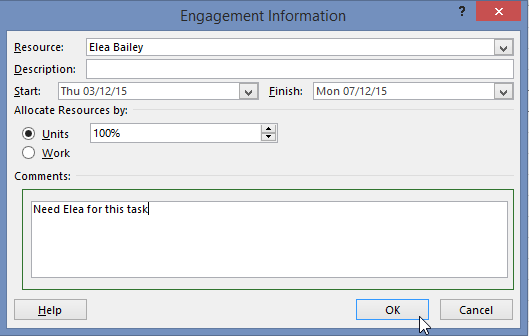 On the task usage screen, I see that the assignment of Elea on the task 2 is not covered by a committed resource engagement: “This task assignment is outside of the boundaries of an engagement”. 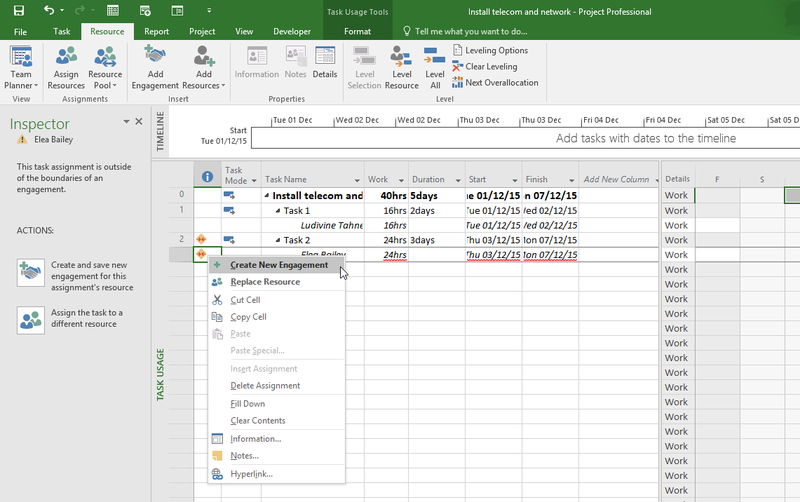 To create a new engagement, I can right click on the icon and select Create New Engagement, or I can click on the button Create and save new engagement for this assignment’s resource on the inspector pane. I set the engagement information, put a comment for the resource manager who will review the request, and click OK. The request is created as draft and need to be submitted. Click on Submit my engagement for review. The request is sent; assignment status is updated to proposed. If you check on the resource plan, you can see the proposed status. The note (icon on the indicators column) contains the comment you set on the engagement request. Note that there is no need to publish or check-in the project for the request to be sent. Request is sent from the project manager to the resource manager, who will, using Project online, Accept/reject the request. Note that there is no resource “owner”, all resource managers are able to review any resource engagement, no matter who the resource is. As a resource manager, go on Project Online > Resource center. Select resources you want to see requests for and click on Resource Requests. The list of requests and their status is displayed. My previous request for Elea Bailey for the [Install telecom and network] project is pending approval (proposed status). 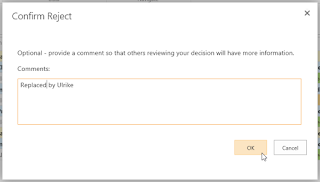 You can see request comments by editing the request, tick the checkbox and click Edit Engagement. You can update resource name (the list contains only resources you have selected on the resource center before clicking on Resource Requests), start and end dates and allocation information. The Capacity planning heat map is also one of the new features, where you can see the “discrepancies between resource capacity and committed engagements”. 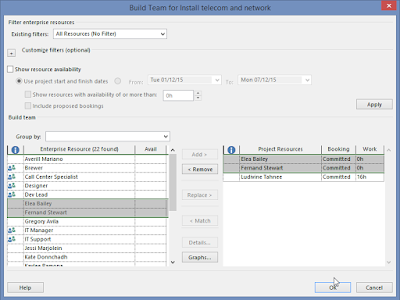 In my example I see that Elea is not available to work on this project [Install telecom and network], but Ulrike, who has the same role, has some availability in this period. So I can swap the two, either by editing the engagement or rejecting this one and creating a new one (from Project Online, resource managers can create engagement by clicking on Add Engagement). The screen to create a new engagement is the same as for editing an existing one. Accept or Reject actions are available on the ribbon after selecting a proposed engagement. 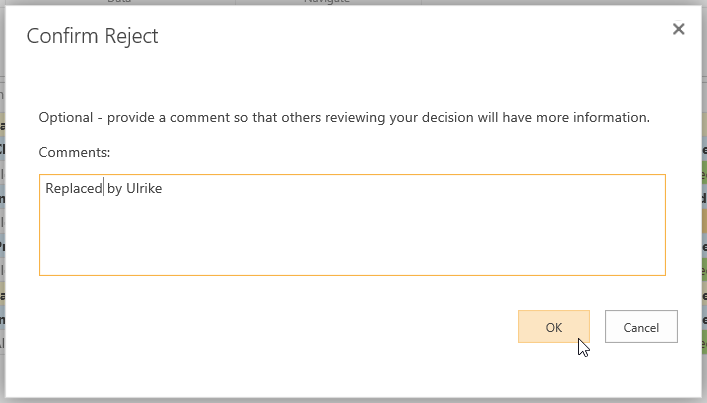 If you decide to reject an engagement, you can add a comment intended to the project manager who made the request. 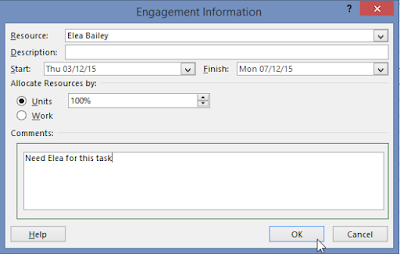 Back to the project manager screen on Project Professional 2016, you can see on the resource screen the rejected engagement and the new one for Ulrike which is already committed. What about my portfolio analysis? No big changes on this area, the only modification regarding your engagements, you can choose if you wish to take into account also proposed engagements (option 2). 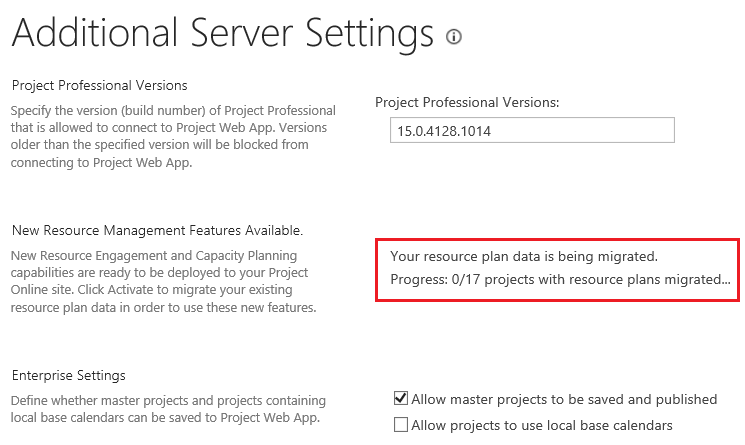 The resource manager set resources requiring approval to be assigned to projects on the resource center (Edit resource page). A project manager can request a resource. 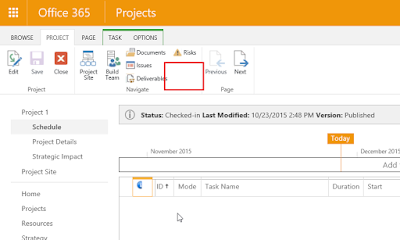 The time phased request is done in Project Professional 2016 or Project Pro for Office 365. It can contain a percentage of resource work required or a set of hours for the period. The resource manager reviews the request and accept or reject it. Note that engagements are not fully editable, depending on the change required, the request should be resent by the PM. 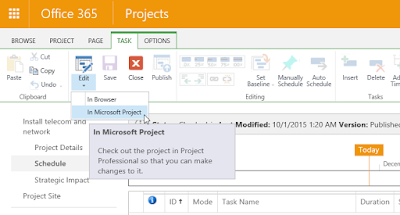 Project managers manage resource engagement in Project Pro, while resource managers use only Project Online. You can check the FAQ regarding resource engagements on the office support website or watch Julie Kohler, Senior Program Manager at Microsoft, presenting Resource Engagements at the Project Virtual Conference. Startup companies need to keep track of their employees and their companies overall efficiency in that sense we need to look into efficient concepts like Resource allocation tools, to be implemented..Which will not only help us to improve the overall efficiency but also we can track the individual output of each and every employee..In that sense it will be a great value addition.. Thanks for sharing this knowledgeable post. I will follow your tips for my project management. 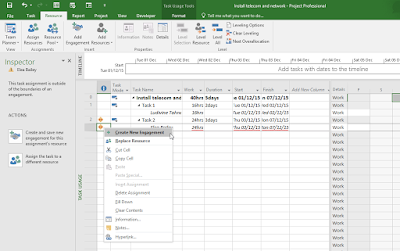 Now i am using an project resource management tool for my business, which is very helpful to save important information in less time. Keep sharing such interesting article. This site has shown that understanding different sources are very important. Students should engage themselves for the academic activities.